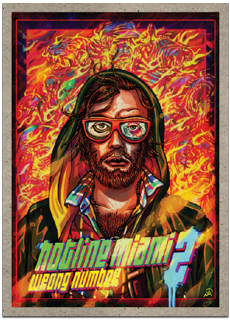 …everything that made Hotline Miami so brilliantly bloody – and then it adds more. Dennaton has managed the unlikely task of capturing lightning in a bottle twice. the music that I heard absolutely blows the first game’s mighty soundtrack out of the water. I’m not kidding... I have literally never heard such a sustained run of awesomeness in a games’ soundtrack.